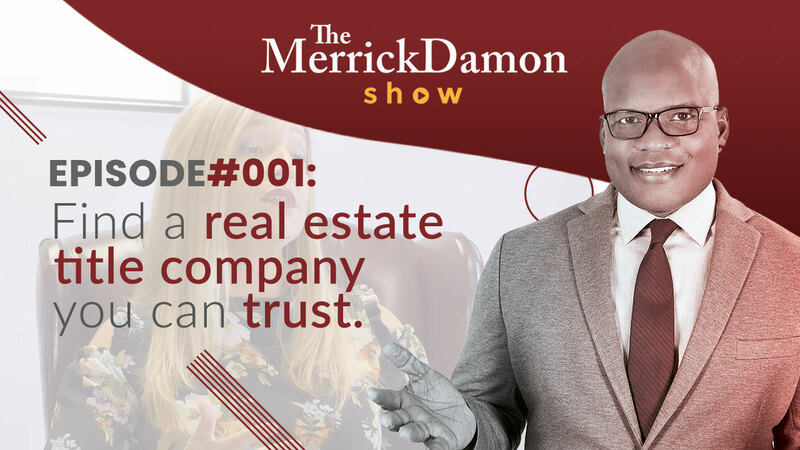 The first episode of the MerrickDamon Show brings you Carrie Fish of real estate title company, Smart Title. She is Merrick Damon’s friend and trusted title expert. The two discuss what makes their professional relationship work so well and why it is so important for a real estate agent/broker such as Merrick to have a title expert in their corner they can truly trust. Carrie also shares the secret to her incredible success and offers valuable tips to realtors. Carrie and Merrick talk about the future of real estate and what’s in store for future real estate professionals. You won’t find this level of honest and open discourse anywhere else in this industry. Stay tuned for more expert and insider tips and information that will benefit new real estate agents, seasoned pros, and everyone in between. We hope you enjoy our first installment of The MerrickDamon Show and can’t wait to show you what’s to come. Make sure you subscribe to our channel to catch our next episodes! We are always open for feedback – let us know your thoughts below.